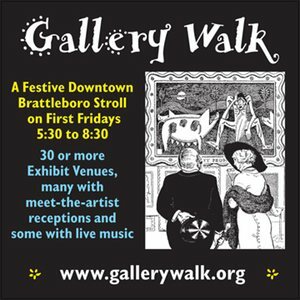 The ongoing exhibit is at the invitation of fellow Brattleboro-West Arts members Petria Mitchell and Jim Giddings, who worked with the Brooks House management to create a venue in the hallway to showcase local artists. Kay Curtis will have drypoint monoprints from her set named “Queen Anne’s Lace: The Circle Comes Around”. 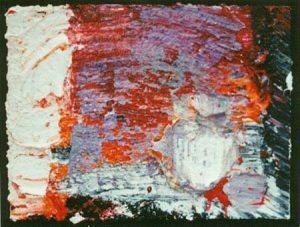 The set metaphorically visits the key steps one undergoes in moving from birth to death. Julia Eva Bacon will show new, smaller works in oil of birds and wildlife which she views as animal spirit guides. Brattleboro-West Arts was founded in 2009 by neighbors who recognized the vibrant creative community that exists in the watershed of the Whetstone Brook west of downtown Brattleboro. Since then, membership has grown to include nearly three dozen professional artists and craftspeople, including those shown in this exhibit. Many members gather each month to share a meal and explore ways to enrich the artistic life of southern Vermont. Check out brattleboro-west-arts.com for more information about the group, including profiles of member artists and news about other events.